Cape Town played host to government and business leaders from the Miami-Dade County and Florida in the United States of America this week. 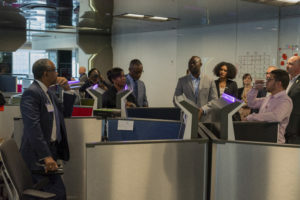 Alderman James Vos, Mayoral Committee Member for Economic Opportunities and Asset Management, hosted the visiting delegation as part of Invest Cape Town’s efforts to advocate for Cape Town as a globally competitive African business city. The delegation’s visit to South Africa was on the back of a recent successful mission to the US that saw the City’s representatives hold 33 business meetings over 12 days in Miami and New York. ‘Cape Town and Miami are sister cities. Our recent interaction and sharing of international best practice with the Miami-Dade County on how to attract trade and investment have been of mutual benefit to both cities. Trade and investment will help both of our economies to grow, and that will, in turn, be to the economic benefit of both regions,’ said Alderman Vos. A New York energy company is seeking to partner with local online and traditional retailers. Cape Town is a forward-looking globally competitive city that offers excellent opportunities for investors with a lower cost of operation and access to a sizeable market in the rest of South Africa and Africa. ‘We know investors look for a clean government partner that is reliable and provides an enabling environment for businesses to grow and create jobs. For the 2017/18 financial year, the City received its 15th unqualified audit opinion from the Auditor General. ‘Just last week, the rating agency Moody’s changed its rating of the City to stable due to its ground-breaking management of the drought crisis and its efforts to avert Day Zero. The Moody’s report affirms the City’s Baa3/Aaa.za ratings which are underpinned by Moody’s view that the City administration will maintain its historically robust financial performances,’ said Alderman Vos. In Cape Town, we know that just providing clean governance and services is not enough. We are proactively assisting with skills development and the expansion of catalytic sectors that are positioned to grow and create jobs. These efforts will build a more inclusive economy like we saw yesterday with the City support of a Business Process Enabling South Africa programme together with Zailabs, a business process outsourcing company, to train youth from vulnerable communities to enter the job market. 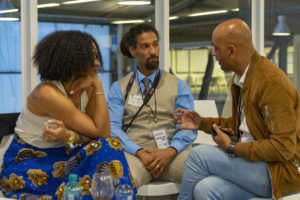 Other special purpose vehicles like the Craft and Design Institute, Cape Town Fashion Council, the Western Cape Clothing and Textile Service Centre, GreenCape, Cape Innovation and Technology Initiative and Film Cape Town attended the business delegation event too.